Melt half of the milk and dark chocolate together with the butter in a heatproof bowl over a pot of simmering water. In a separate bowl, beat together the eggs and vanilla, then add the sugar. Add the melted chocolate and butter to the egg mixture, then sift in the flour and fold gently until just combined. Roughly chop your mince pies, reserving a few pieces for decoration. Add the pieces to the brownie mix, along with the clementine zest and juice, and the rest of the chocolate. 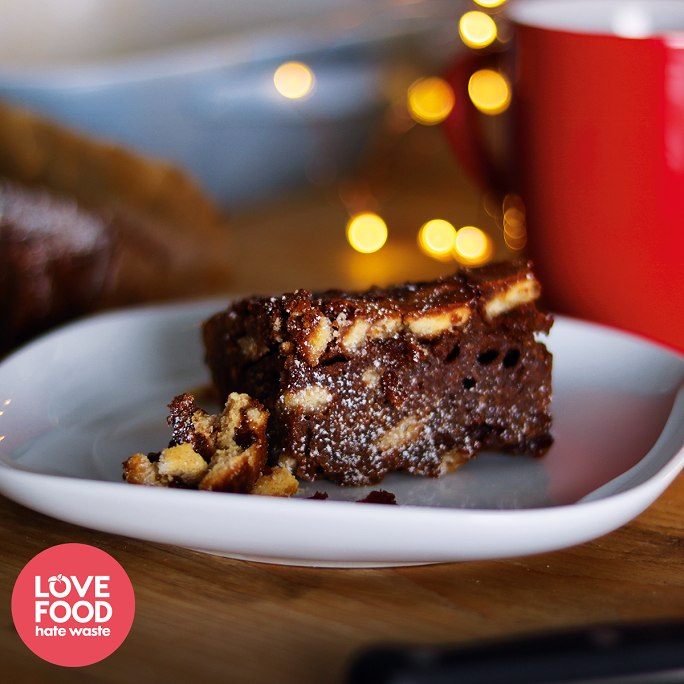 Pour the brownie mix into the baking tray and top with the remaining mince pie pieces. Bake for 25 minutes or until the centre is just set. Cool completely in the tray before turning out and slicing into squares. Dust with icing sugar for some extra festive flair!